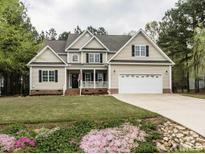 Below you can view all the homes for sale in the Plantation Pointe subdivision located in Clayton North Carolina. Listings in Plantation Pointe are updated daily from data we receive from the Raleigh multiple listing service. To learn more about any of these homes or to receive custom notifications when a new property is listed for sale in Plantation Pointe, give us a call at 919-759-5792. Closed crawl w/ dehumidifier. Community pool & tennis. MLS#2248517. 986. Lovely Master Suite with ceramic shower, garden tub and large Walk in Closet. 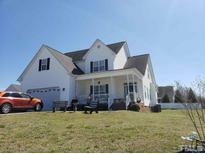 MLS#2247525. 1647. 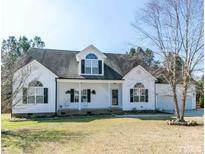 Amazing Location!Private fenced usable yard!New Carpet,Fresh Paint!Updates include H2O heater (~’17),Dwnstrs HVAC (~’14),New Fixtures,Stacked stone gas log Fireplace in Family,Huge Kitchen,cabinets,Brkfst nook,seperate dining Room w/vaulted ceiling,Open & Bright,Master down,Dual Vanities,2 other bedrooms down + bath,Upstairs great for office,guest suite,new ceiling fan,low maint Trex decking great for grilling & rocking chair front porch,oversized 2 Car Garage.Short walk to community amenities - Pool & Tennis Court! MLS#2244099. 3294. The hall bath has two vanities. MLS#2242245. 1197.